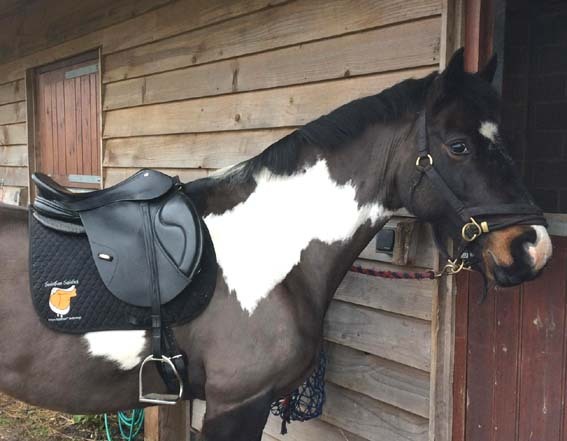 Solution Saddles Customer Stories: Jo-Anne has had great success fitting her SMART Eventer saddle to several different horses, proving it to be a worthwhile investment! Jo-Anne has had great success fitting her SMART Eventer saddle to several different horses, proving it to be a worthwhile investment! “I just wanted to say how pleased I am with my SMART Eventer Saddle. I purchased it twelve months ago for my 16hh cob cross mare but sadly I lost her a short time later. I have since had the SMART Eventer saddle fitted to two further horses with great success, even though they were all quite different shapes and sizes! The quality is superb. I feel confident and secure in the saddle and know that my horse is comfortable and able to move freely, too - it really is a saddle for life, well worth the investment!